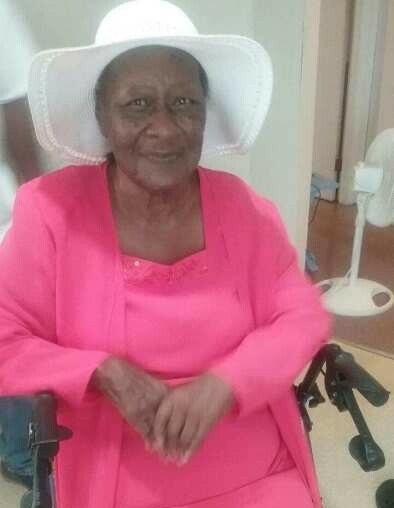 Kenansville - Mrs. Sarah Best Dobson, 91 of 1232 S. NC Hwy 50 answered the Master's call on Wednesday, August 15, 2018 at New Hanover Medical Center in Wilmington. Born in Duplin Co., she is the daughter of the late Louis Best Sr. and Rosa Shivars Best. Her love and legacy will be cherished by her sons, Eugene ( Annie L.) Dobson of Queens Village, NY., Michael G. Dobson of the home and Louis Ricky (Sheneta) Dobson of Magnolia; five grandchildren; six great grandchildren; two sisters-in-law, Betty Best of Kenansville and Swannie B. Branch of Mt. Olive, nieces, nephews, other relatives and friends.